MOSCOW (Sputnik) - Militants attacked 13 towns in the northwestern Idlib de-escalation zone in Syria throughout the day, the Russian Defense Ministry’s centre for Syrian reconciliation said Sunday. 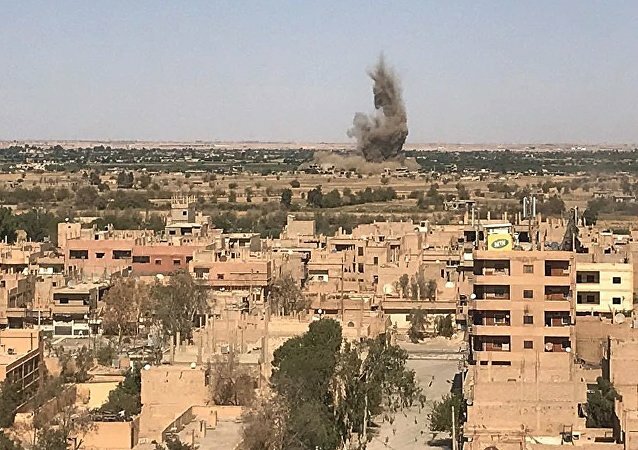 Earlier, Syrian media reported that the US-led international coalition conducted airstrikes on a camp next to the Syrian village of Baghouz, Deir ez-Zor province, killing about 50 people. 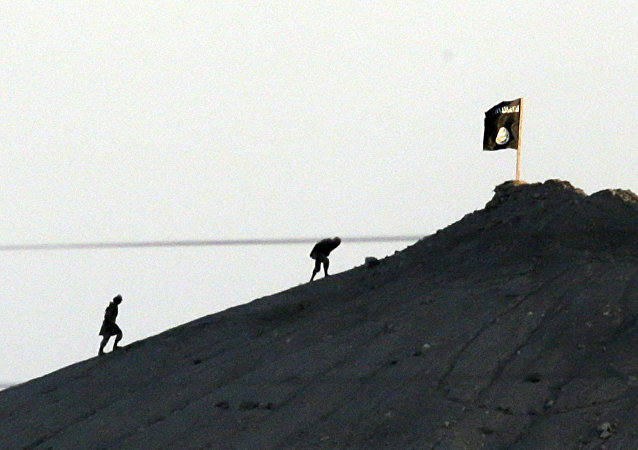 According to Syrian state-run news agency SANA, a mine planted by Daesh militants exploded Saturday in the Syrian eastern province of Deir ez-Zo province. As the US-led coalition closes in on Daesh’s final stronghold in the city of Baghuz near Syria’s border with Iraq, the militant group has released a message claiming it’s only been defeated “by the standards of this world” and calling on its supporters to rise up once more. At the beginning of March, the US-backed SDF announced the resumption of operations against Daesh terrorists in Baguz after a break to allow for the evacuation of civilians. Syrian media have repeatedly reported civilian casualties and the use of white phosphorus by the coalition in Baguz airstrikes. 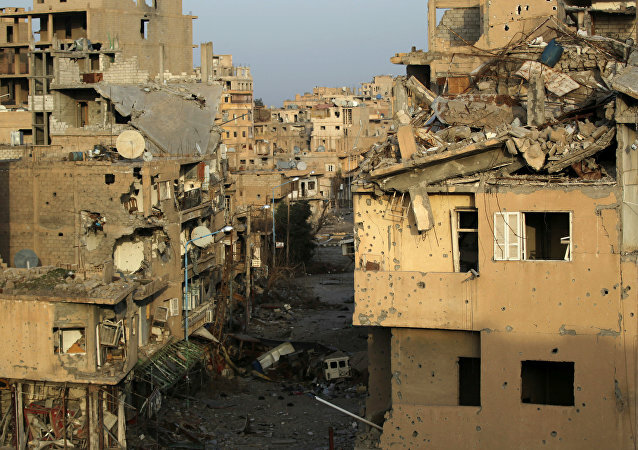 Landmine explosions are quite frequent in Syria, as terrorists, when forced to retreat from territory, leave explosive devices in streets and residential buildings. Syrian media have repeatedly reported on US-led coalition strikes, which have led to countless civilian casualties and damage to crucial infrastructure in the Arab Republic. The coalition has been bombing targets in Syria since 2014 despite never obtaining a UN mandate and not obtaining Damascus’ approval. The Syrian province of Deir ez-Zor has been a frequent target of international anti-Daesh coalition airstrikes, with Syrian state media reporting about the numerous civilian casualties they have caused. The Pentagon has previously confirmed some of the strikes, vowing to probe the casualties. 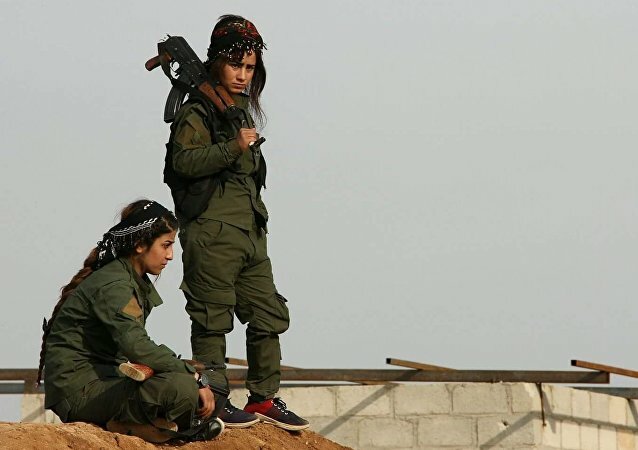 The Kurdish-led Syrian Democratic Forces (SDF) are preparing for their final offensive against Daesh, which is cornered in a tiny sliver of territory along the Syrian border with Iraq. MOSCOW (Sputnik) – The population of the Syrian province of Deir ez-Zor has increased sixfold since the end of hostilities in the area, the governor of the province, Abdul Majeed al-Kawakibi, said on Wednesday. Saturday evening, at least two Syrian Army servicemen were injured after the US-led international coalition conducted an airstrike on a Syrian Armed Forces artillery mount in the country's northeast. 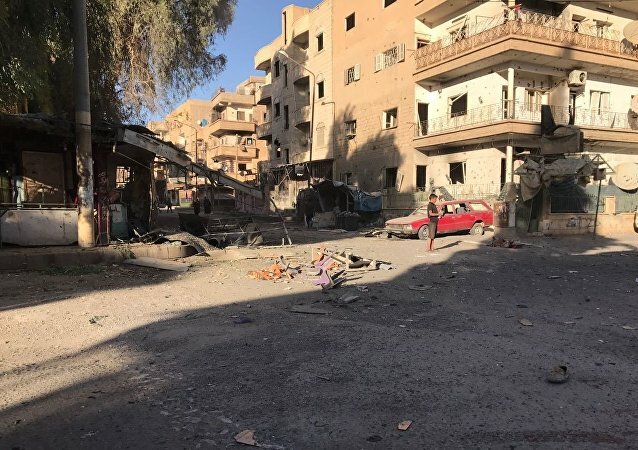 DAMASCUS (Sputnik) - All of those killed were civilians, members of three families, the Syrian pro-government newspaper al-Watan's sources said. The US-led coalition regularly carries out airstrikes in the Syrian province of Deir ez-Zor. Syrian media has constantly reported about civilians causalities due to US-led coalition airstrikes in the area. MOSCOW (Sputnik) - The Syrian Kurds continue to fight the Daesh terrorist group with the help of the US-led international coalition in Syria and are currently storming the city of Hajin, an official representative of the Syrian Kurds in Moscow, Rshad Bienaf, told Sputnik on Monday. The detention comes after the Kurdish militia said in a press release on Sunday that they shut down a terrorist cell which consisted of two US national citizens, two Pakistanis, and, allegedly, a man from Dublin. Five British servicemen were killed in shelling by Daesh terrorist group in Syrian Deir ez-Zor province, media reported citing local sources. US President Donald Trump announced the withdrawal of 2,000 American troops from Syria last month, having declared victory over Daesh. GROZNY (Chechnya) (Sputnik) - A woman and a child with Russian citizenship died in a bombing raid by the international coalition on Daesh* terrorists in the Syrian province of Deir ez-Zor, a Russian human rights activist told Sputnik on Friday. ALEPPO (Sputnik) - The Syrian northern city of Aleppo on Monday marks the second anniversary of its victory over terrorism. Exactly two years ago the country’s most populous city was liberated from militants. The Friday airstrikes of the US-led Coalition have completely destroyed a hospital in the Syrian city of Hajin in the eastern Deir ez-Zor province, Ikhbariya broadcaster reported.